The 110 Series headsets are the crown jewel of Cane Creek's headset line. Constructed of the strongest materials with some of the best bearings and seals available, a Cane Creek 110 Series headset is the last headset you will ever need to buy. Cane Creek 110 Series headsets are engineered in their factory in Fletcher, NC - CNC machined from 7075-T6 aluminum and backed by a 110 year warranty. 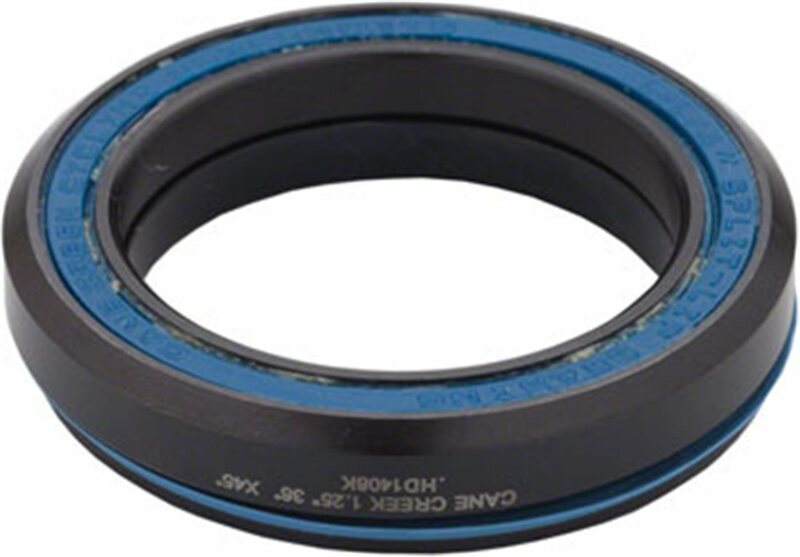 This 110-Series headset is for 44mm Head-Tube with a 1-1/8" Stem Clamp Diameter. Gverhauling my bike for the spring and found I needed a new bearing, a good aftermarket bearing that fits perfectly. No where in The description of the bearing does it say that the crown race is included. I purchased two sets of bearings and then bought two crown races to go with them; which cost me a extra $20 US plus tax. When i finally received the parts I was disappointed to see that I didn’t have to purchase the crown races separately and could’ve saved myself some money.